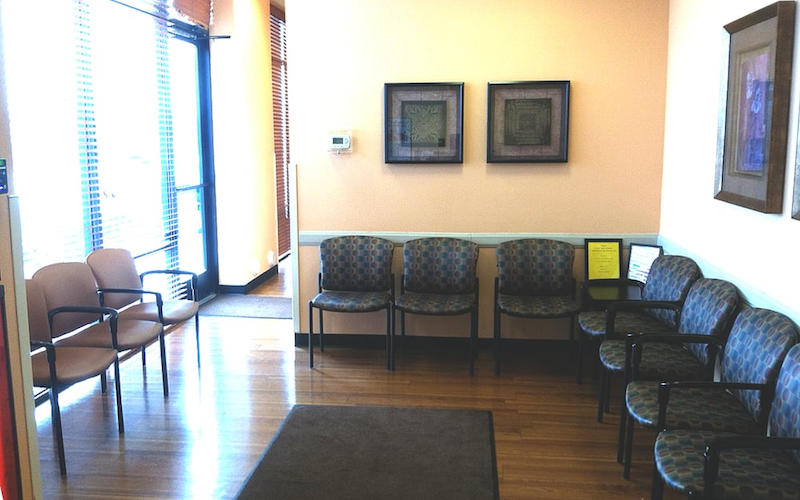 As part of the larger NextCare Urgent Care, this clinic has affiliates with the closest other clinic being in Mesa about 5.9 miles away and is open today from 8:00am to 8:00pm. Recognized favorably amongst their patients, NextCare Urgent Care, Mesa (E Baseline Rd) has an average rating of 4.7 stars out of 5 based on 502 total ratings. In fact, recent patients have frequently used words such as "bedside manner" to describe their experience at the clinic. Certainly not terms you hear about healthcare providers too frequently! Overall a good experience. I was seen as fast as possible. Quick and easy. I was seen fairly quickly. Staff members were great! Made online appt for 9. Brought back at 9:30 and never saw Medical personnel until 9:45! Only part of appt I was not happy with. I thought the service and protocol here was better than at my regular doctor's office. PA Helena refilled inhaler & cough medicine, and an Rx if I needed & explained why to only take if needed. My lungs are no longer dry (turns out needed the Azith) & I'm on the road to recovery. She was very kind & compassionate & the visit was a very pleasant experience. I am so thankful! I will be back when necessary..
Easy to get in & out for my son's sprained ankle. Staff was wonderful. The staff and medical professionals made what could’ve been a traumatic situation much better. Took the time to ask me questions. Thank you for helping me with my illness. Feeling much better now.